A documentary film currently in production showing the growing acceptance and movement to legalize medical aid in dying, featuring NPR’s Diane Rehm. WHEN MY TIME COMES is an examination of the right-to-die movement, using the story of nationally-syndicated talk show host and Peabody-award winner Diane Rehm and how the death of her beloved husband of 54 years, John Rehm, led to her own activism on behalf of medical aid in dying. Her late husband’s suffering from Parkinsons’ disease brought him to the point where his quality of life had declined, his prognosis was dim, and he asked to die. As medical aid in dying was not a legal option where he lived, John Rehm chose the only alternative he saw: refusing food and water. It took ten long days for her husband to die, thus beginning Diane Rehm’s journey to make sure others would not suffer as he did at the end of their lives. The film will interweave the Rehms’ experience with those of other patients and families across the U.S., as well as the views of experts, representing a wide range of perspectives on the issue of medical aid in dying. And it is an issue that is gaining public support and attention. Six states and the District of Columbia have legalized medical aid in dying, and legislation is proposed in 25 more states. A recent Gallup poll found that 70 percent of people think a doctor should be able to help a patient end their life, if that is what the patient wants. Joe Fab, whose Emmy-nominated documentary, “Paper Clips” also took on a sensitive subject—the Holocaust---will use his strong narrative and in-depth interviewing skills to tell this important and timely story. 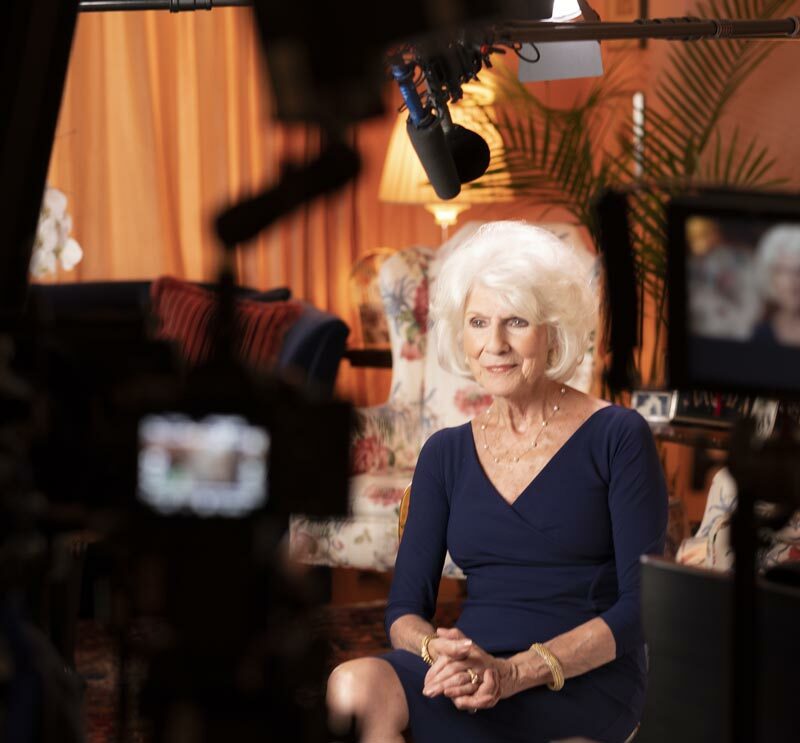 Diane Rehm is an ideal central figure—a trusted, credible and intelligent guide to take viewers through the complex issues that come with end-of-life decisionmaking. Sign up for project updates and information on future screenings. Copyright © 2018, Fab Films.